Card with pictograms to visualize the commitment / rules to listen to each other. 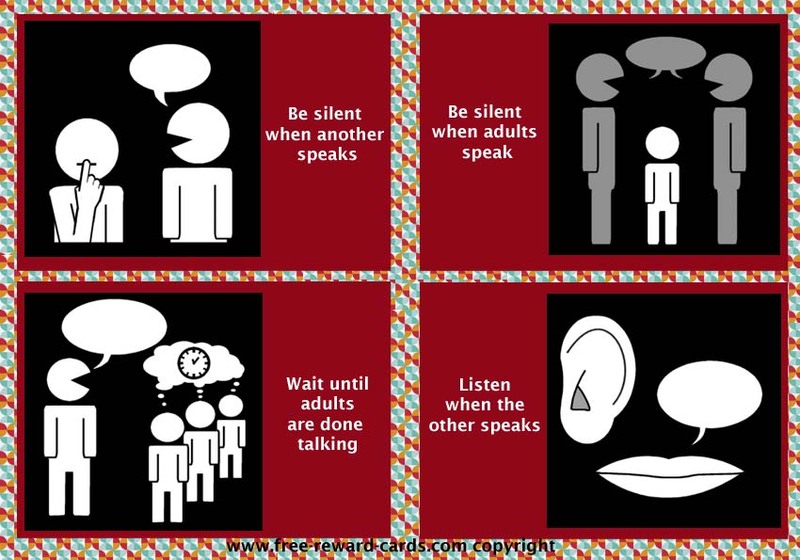 Be quiet and silent when someone else is talking or when adults talk. The individual pictograms can be found on www.sclera.be All these daily rythm pictogram cards are free printable via www.free-reward-cards.com. The cards are ment to make parenting more fun and easy for parents and children.